I wore a beautiful silk dress on a very cold day. 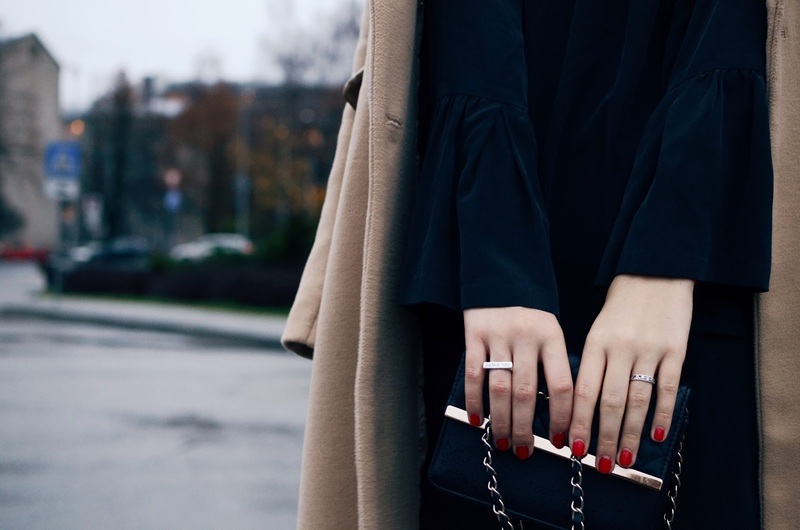 Cold (even freezing), rainy weather + taking outfit pictures doesn't really go together, especially when you want to show off just a little bit of the beautiful dress that is under that coat your clinging to dear life. Actually taking any kind of pictures in this weather now doesn't seem like a good idea anymore. And this is a problem. Thankfully I still have some unpublished outfit posts to show you, meanwhile I really need to figure out this cold weather + outfit post thing. Ugh winter, could you just skip Latvia this year. The flare sleeves that this dress has was the first thing that drew me in. My love for flare (jeans, sleeves on tops or dresses, it doesn't matter) has been growing in this past half year. This dress also has a killer back, that you can see the best on the hm.com page. I think that next time I will probably style it with leather trousers (as I do almost with every dress I own). Let's hope a camera will be near when that happens. 3 comments on "THE FLARED SLEEVE DRESS"
Beautiful look! 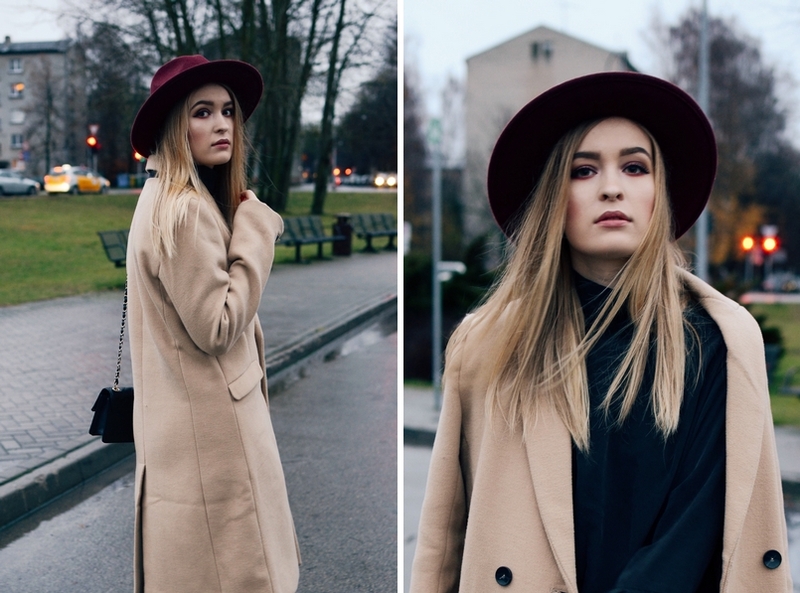 The camel coat looks amazing and classic and the hat adds the perfect pop of colour! You can never go wrong with a classic cut camel coat :) Thank you!